f1.x  => "hello";   //foo.prototype.x is visible again to f1. Object instanceof Object == true. 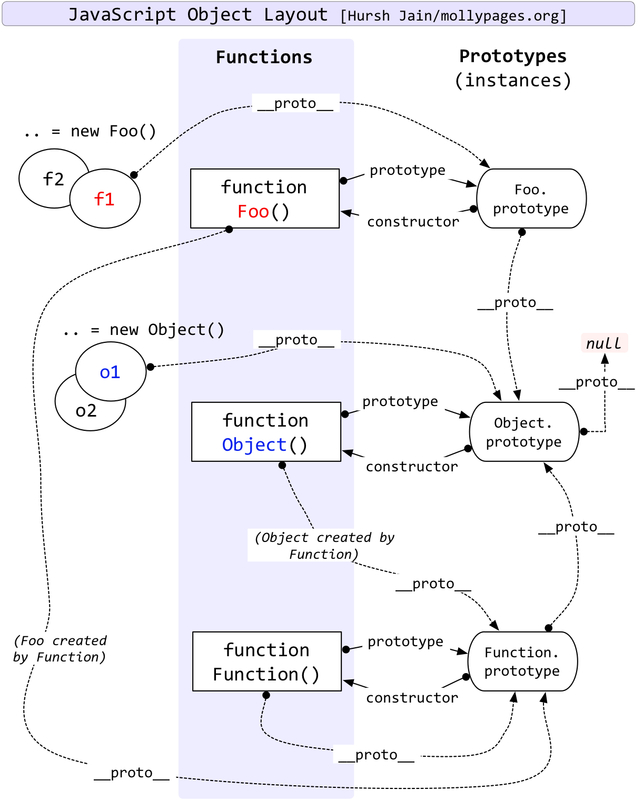 This is because: Foo does not exist as a constructor for it's own prototype chain.